Earlier this week Mondo released the second piece in its killer line of pop culture ceramic tiki mugs, this time inspired by the James Cameron classic sci-fi/horror film, Aliens. The Xenomorph Tee-Kis mug is hand-glazed, holds 16 fluid ounces, and comes ready to nest on your shelf. In space, no one can hear you scream...but they can watch you drink! The Aliens Mondo Tee-kis tiki mug comes in five different glazeways, two of which are available for pre-order now at the Mondo online store. There’s the open edition Blue colorway ($28), the timed edition Hive variant ($32) featuring a matte black finish, silver teeth and nails, and green interior, the Mondo Exclusive Acid Blood variant ($42, LE 200) featuring a dark green finish, the Alamo Drafthouse Exclusive Brown colorway, and the Xeno Bone version (which will be an event exclusive available at a later date). 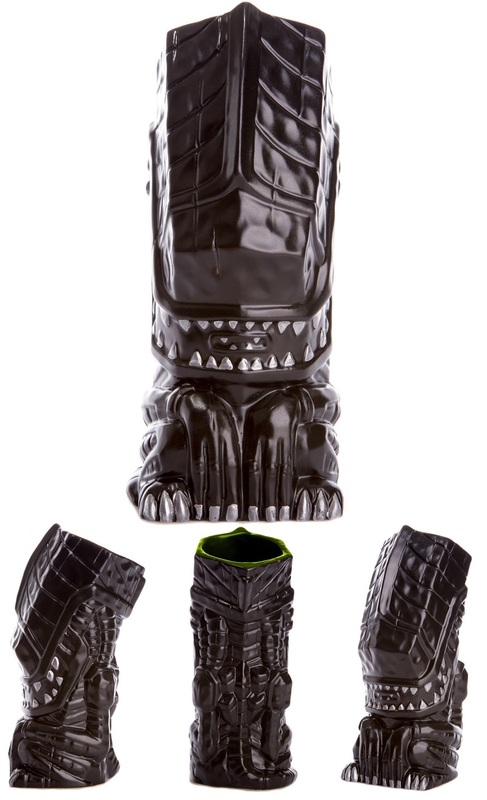 Each Aliens Xenomorph Mondo Tee-kis tiki mug stands 8” tall, weighs approximately 1lbs, and is made of ceramic.